After The Multi-Million Ringgit KL Major, Where To Next For M’sian E-Sports? The Kuala Lumpur Major was the largest and most prestigious Dota 2 tournament to date. The tournament was organised by the Astro-owned eGG Network alongside international organisers PGL. We spoke with Astro’s Chief Of Sports Lee Choong Khay about bringing the tournament to Malaysia and the development of the e-sports scene locally. For Malaysian fans of e-sports, the recent weekend was one for the history books. 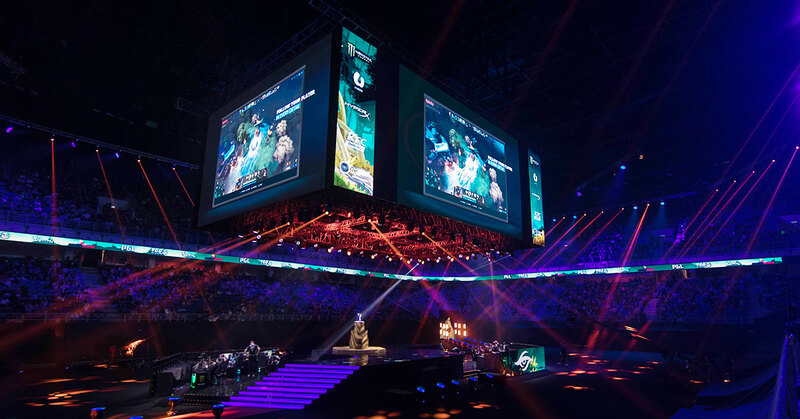 Over three days full of non-stop action and excitement, the Axiata Arena in Bukit Jalil played host to arguably the biggest e-sports event to ever be held on local soil. The Kuala Lumpur Major hosted 16 teams from around the globe, and the main event that ended just last weekend saw encouraging response at the 16,000 capacity Axiata Arena, with Virtus Pro—the champions of the tournament—taking home a US$350,000 slice from the US$1 million total prize pool. We’ve already covered the happenings at length: click here to find out what it was like to attend the event, and here to read our thoughts on the tournament as a whole. The tournament was hosted as a joint effort betwen Astro’s e-sports focused eGG Network and PGL—the Romanian organisers that also had a hand in organising the globally popular The International Dota 2 tournament and other major e-sports events around the world. At the event, we had the opportunity to speak to Astro’s Chief of Sports Lee Choong Khay (also known as CK) about eGG Network’s journey from being a broadcaster of e-sports to becoming hosts of an internationally important e-sports event. Starting with their origin story, CK revealed that Astro’s decision to tap into the e-sports segment came at a time where the team at their sports division noticed strong viewership and demand for competitive gaming. They initially began airing e-sports events as additional content on their main sports channels, but following encouraging ratings from events like the League of Legends World Championships, they figured that it would be opportune for them to dedicate more resources to the rapidly growing segment and thus created the eGG Network. At the same time, Astro also saw that regionally there was a gap—where there was demand for a dedicated e-sports content, there wasn’t a dedicated producer to match the need. Seeing this, they took advantage and have now ended up in eight different countries around the region including Australia, Singapore, and Brunei. Then it was a natural progression from broadcasting e-sports content to actually organising events. Some notable events under their name including the Mobile Legends: Bang Bang SEA Cup, and the Counter Strike: Global Offensive (CS:GO) Minor Championship Asia that had a US$200,000 prize pool. On organising the Kuala Lumpur Major, CK revealed that it was a very close relationship with The International organisers PGL that helped Malaysia secure the bid to bring it to local soil. Having worked with them on multiple events prior to this one such as the Counter Strike: Global Offensive (CS:GO) in Johor last year, the groundwork was already in place for the giant tournament to take place in Malaysia. Then CK also attributed strong support from the government as a factor that played a part in making the KL Major a success. 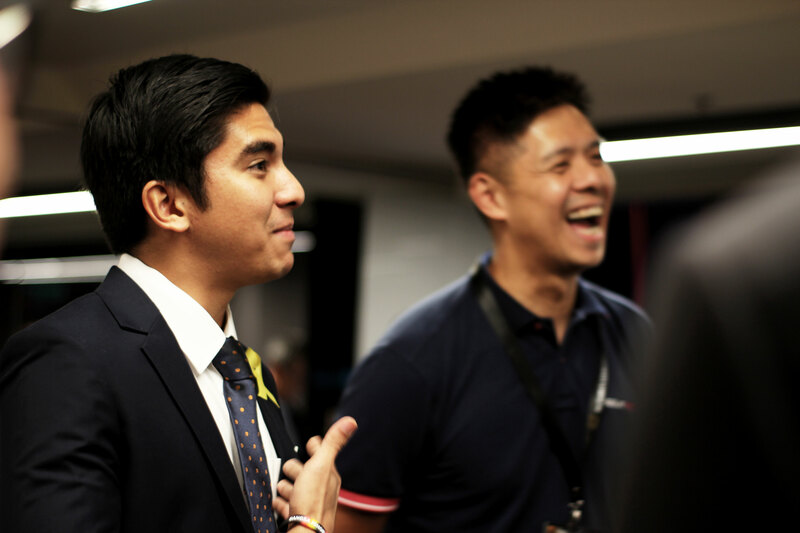 In attendance at the event was Minister of Youth and Sports Syed Saddiq—himself an ardent Dota fan—who addressed topics regarding the stability and viability of e-sports locally and encouraged all those in attendance to continue to be loud in the face of e-sports skeptics and naysayers. Syed Saddiq in attendance at the Kuala Lumpur Major last Friday. “E-sports brings money into Malaysia—it has a thriving multiracial community, and on top of that, the drive to love IT and advancement in technology and to look towards the future is also humongous,” said Syed Saddiq at the official event press conference. We also asked CK about his views on the growth of the scene and its prospects for the everyday Malaysian, and he explained that beyond looking at e-sports as something just for the players, there was also a glut of opportunities available for the rest of the community—in production, marketing, and even the creation of the games themselves. Here he talked about ACE (the Alliance of Campus eSports), eGG’s initiative to spread e-sports awareness in colleges and universities around Malaysia and their many endeavours to help foster the growth of the scene at a grassroots level. These include workshops, tournaments, and other relevant activities that expose youngsters to the scene. If you’re curious to know more about e-sports and how it all works, check out this beginner-friendly guide to watching competitive gaming.